Blurred to protect identity of Veteran. 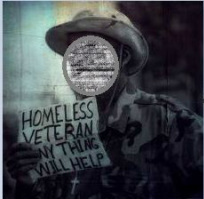 North Texas Veterans Initiative Inc. is a non-profit 501(c)(3) organization on a mission to help provide funds for homeless Veterans that qualify for HUD-VA Supportive Housing (VASH) Program or Homeless Grant and Per Diem Program. When you donate to charity your help will directly impact the families of Veterans to move into their new home. Rental Assistance: move in fees | deposits - We work directly with landlord so that you can move in same day in most cases. ​There are many reasons Veterans can become homeless, including poverty, lack of support from family or friends, substance use, or mental health challenges that may develop or worsen as a result of trauma (PTSD)they experience while serving our Country, for our freedom. You fought for our homes...now we are fighting for yours. North Texas Veterans Initiative Inc. is committed to meeting the needs of every Veteran and can help veterans secure safe, stable housing and achieve self-sufficiency.